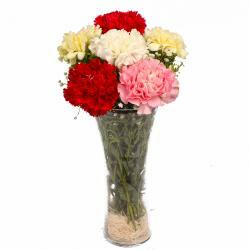 Product Consist : 6 White Carnations with Green Fillers nicely arranged in a Vase. 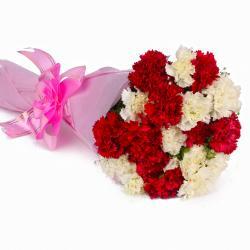 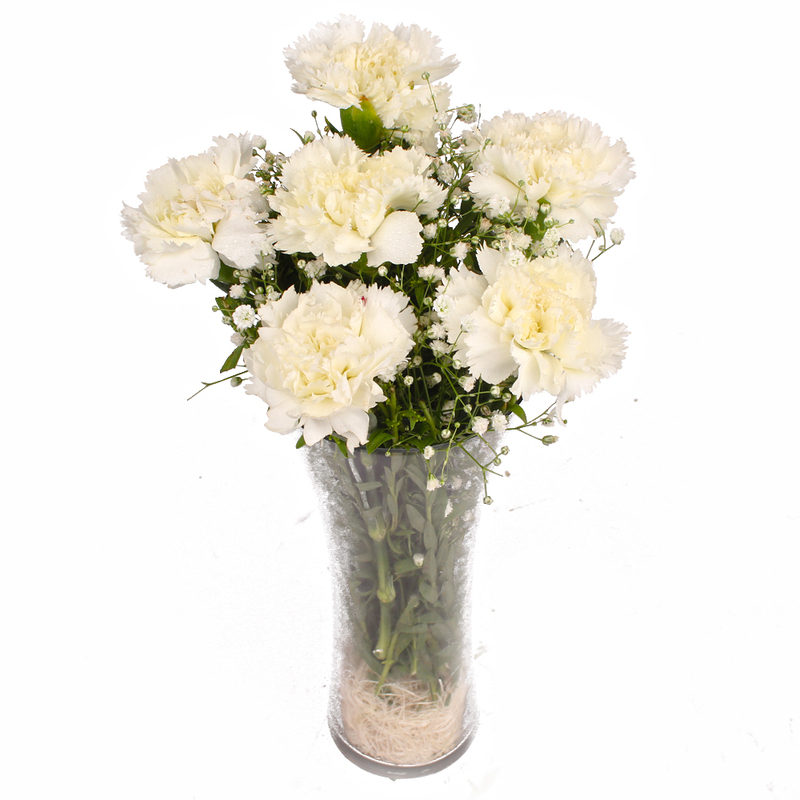 This gift pack is a good bet when it comes to various occasions and contains six white carnations which look immensely attractive to say the least. 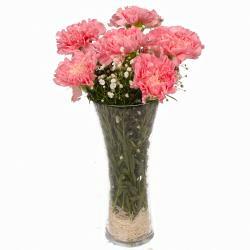 These Carnations are also accompanied by a vase made of glass which lends a classy touch to the flowers. 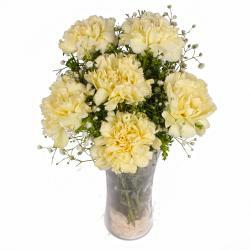 This pack can be a good gifting solution in case of occasions like Birthday, Anniversary, Best of Luck, Durga Puja, Womens Day, Diwali, Bhai Dooj and even Daughters Day. 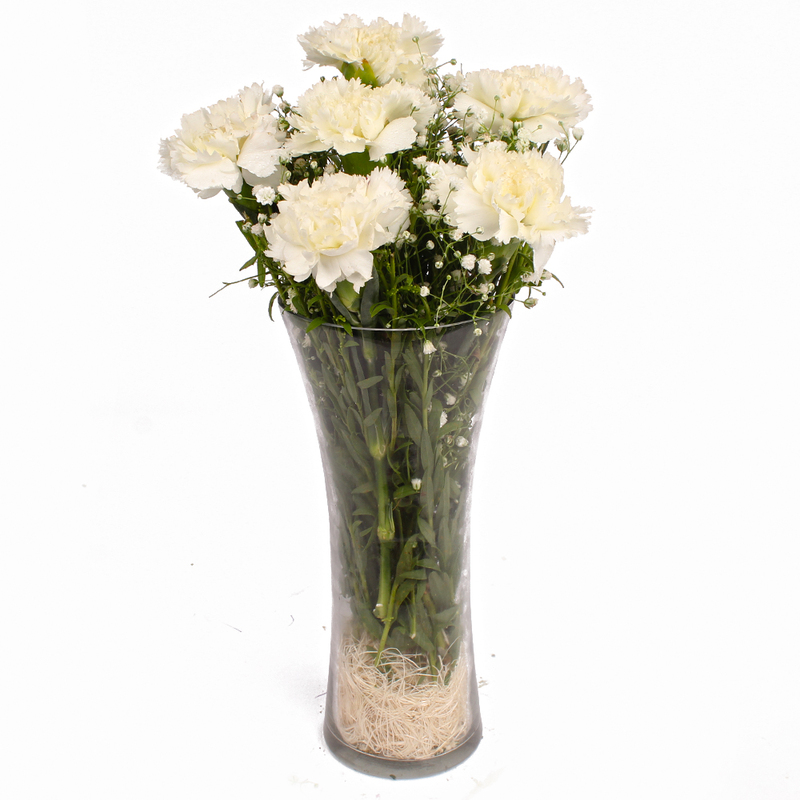 Product contains : Six White Carnations with Green Fillers nicely arranged in a Vase.